Audrey Fisch, a professor of English and elementary and secondary education at New Jersey City University, and Susan Chenelle, who teaches English and journalism at University Academy Charter High School in Jersey City, N.J. are the authors of this Text to Text. They are working on a book series, Using Informational Text to Teach Literature (Rowman & Littlefield Education, forthcoming 2014) that provides language arts teachers with resources to meet the new Common Core standards for reading informational text while enhancing student’s appreciation of key literature texts. The second volume of the series will focus on A Raisin in the Sun and delves into issues of housing discrimination, then and now. The featured lesson plan includes downloadable worksheets on Comparing Two or More Texts; Double-Entry Chart for Close Reading; and Document Analysis Questions as well as excerpts from the two texts, discussion questions, and resources for further investigation and conversation. 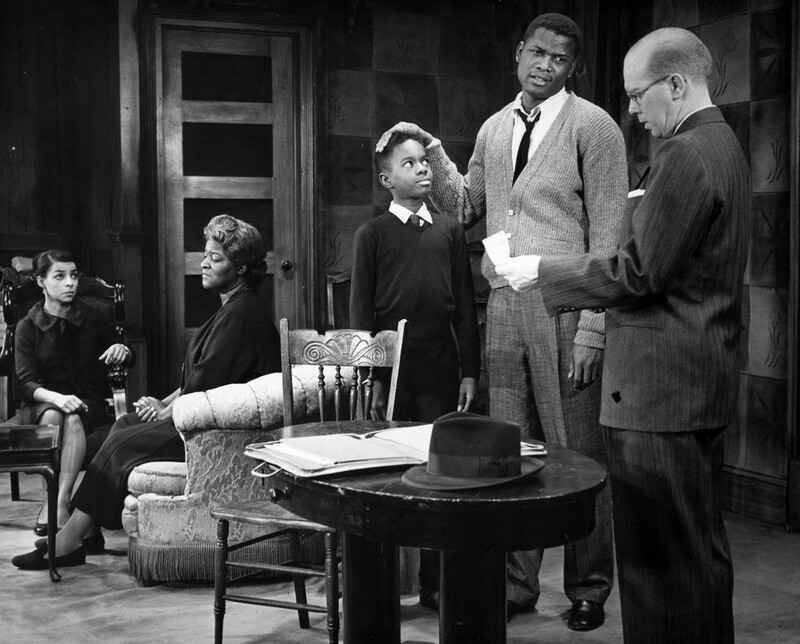 Photo of a scene from the 1959 production of A Raisin in the Sun. From left: Ruby Dee (Ruth Younger), Lena Younger (Claudia McNeil), Glynn Turman (Travis Younger), Sidney Poitier (Walter Younger) and John Fielder (Karl Lindner). Photo by Friedman-Abeles, New York.